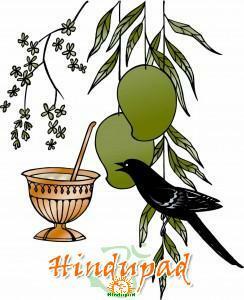 Ugadi or YugadiUgadi is the New Years Day for the people of Andhra Pradesh and Karnataka. It is also celebrated in Maharashtra as Gudi Padwa. Ugadi 2016 date is April 8. Sindhi people observe the same day or the following day as Sindhi New Years Day, Cheti Chand. Since the Saka calendar begins with the month of Chaitra, Ugadi is celebrated on the first day of the New Year. The Yugadi or Ugadi observance has many legends or stories around it. Some of them are accurately describe the scene. “Yesmin Krishno DivamVyataha, Tasmat eeva pratipannam Kaliyugam”, these Sanskrit verses of the great Sage Vedavyasa explains that Kali Yuga has started at the time when Lord Krishna passed away. Yugadi, pronounced as Ugadi, represents the beginning of a new Yuga (era). Some famous historians of India date the starting of KaliYuga to 3102 BC. Who Celebrate Ugadi or Yugadi? Ugadi is the New Year day for the Hindus between the rivers – Vishyas and Kaveri, eventually the people of Karnataka, Andhra Pradesh and Maharashtra. The South Indian calendar follows the procedure of Salivahana era (Salivahana Saka). It starts its count from the date when the Shatavahana King, Shalivahana established his empire. King Shalivahana is also called as Gautamiputra Shatakarni. The Southern India Calendar (the era of Shalivahana Shaka) counts its years starting from the year 78 AD of the Gregorian calendar. Hence the year 2000 AD marks the year 1922 of the Salivahana Saka. As per the Lunar or Hindu calendar, yugadi corresponds to the first day of the first half of the Chaitra month, Chaitra Shudhdha Padyami (Chaitra Sudda Prathami), which usually comes in March or April months of the regular Gregorian calendar. i like this festival alot. thanks for posting abt ugadi history. keep it up my child. 2 corrections needed for the article. First one being, it is the day when krishna passed away ( Please do not use such phrase, as Krishna is not a normal human being, he is avatara purusha). It was the end of dwapara yuga and the onset of kali yuga. It was as per dharma, lord Shiva pleaded Krishna to return to his abode – Vaikunta. So, it should be meant as Vaikutna payana not passing away. Second, as per shasthra, Yugadi is a day when Lord bramha was instructed to create the srusti- the humanly world by lord vishnu. It is understood that the world begun its life on this day.